One GBAtemp forum member managed to get Microsoft's classic OS up and running on a Nintendo 3DS with the help of emulation software. 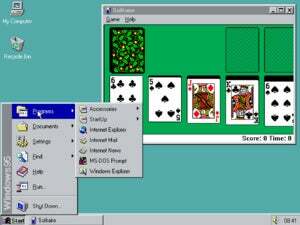 In this modern age, what on Earth are you supposed to do with an old copy of Windows 95? The discs might make for stylish drink coasters, and you might use the old software box to decorate your home office. GBAtemp forum member shutterbug2000 had other ideas, though, and installed Microsoft’s landmark operating system on a new Nintendo 3DS. 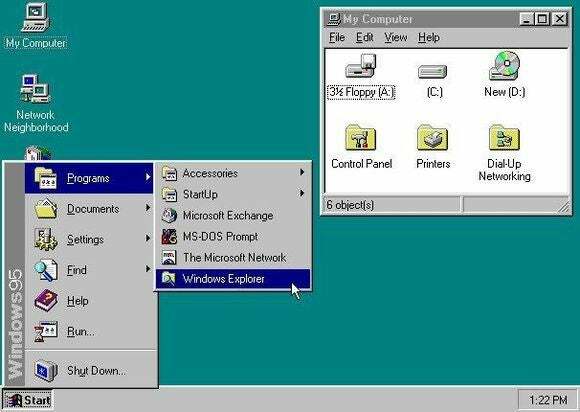 It’s small, and you probably won’t want to use it for any actual work, but come on—it’s Windows 95 running on a 3DS! To work this magic, shutterbug2000 used a variant of DOSbox, an open-source DOS emulator, a Windows 95 .img file, and a “new” Nintendo 3DS. Shutterbug2000 previously tried this hack on an original 3DS model, but says that “every time, it froze on a rainbow glitchy mess.” According to shutterbug2000, the original 3DS seems to lack the horsepower or the memory to run the DOSbox/Windows 95 combination; meanwhile, it “just worked” on the newer 3DS hardware. Of course, we’ve seen Windows 95 get hacked to run on other hardware before—from iPads to Android phones—but this fact doesn’t make shutterbug2000’s feat any less impressive. Hop on over to the GBAtemp forum thread for the full details.